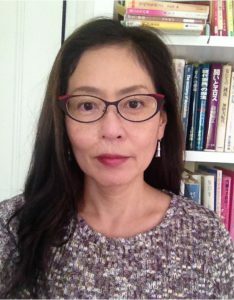 Tomiko Yoda is the Takashima Professor of Japanese Humanities in the Department of East Asian Languages and Civilizations, Harvard University. She previously taught at Duke and Cornell. She is the author of Gender and National Literature: Heian Texts and the Constructions of Japanese Modernity (Duke, 2004) and co-editor with Harry Harootunian of Japan After Japan: Social and Cultural Life from the Recessionary 1990s to the Present (Duke, 2006). Her specialization includes Japanese literature, media studies, and feminist studies. Her forthcoming monograph, “Girl Time: Micro-politics of Media Culture,” examines the transformation of media culture in 1970s and 1980s Japan.